Regina hails from St. Louis, MO and grew up along the muddy banks of the Mississippi River. Her favorite past time as a young girl was pretending to be Huckleberry Finn or Tom Sawyer while playing in the creeks behind her house. Later she would realize that these “creeks” were really just storm drain outlets, and were actually pretty gross. After exploring different areas of study at Southern Illinois University in Carbondale, Regina settled on the Forestry department and specialized in Hydrology and Watershed Management. Using the Shawnee National Forest as her classroom, she delved into the watery world of freshwater rivers and streams. She especially fell in love with this ecological niche while working in an aquatic macroinvertebrate lab, where she was exposed to alien-like creatures she’d never known existed. Exploring new natural areas has always been one of Regina’s biggest passions, and lucky for her, the Midwest offered a perfect launching point to travel. 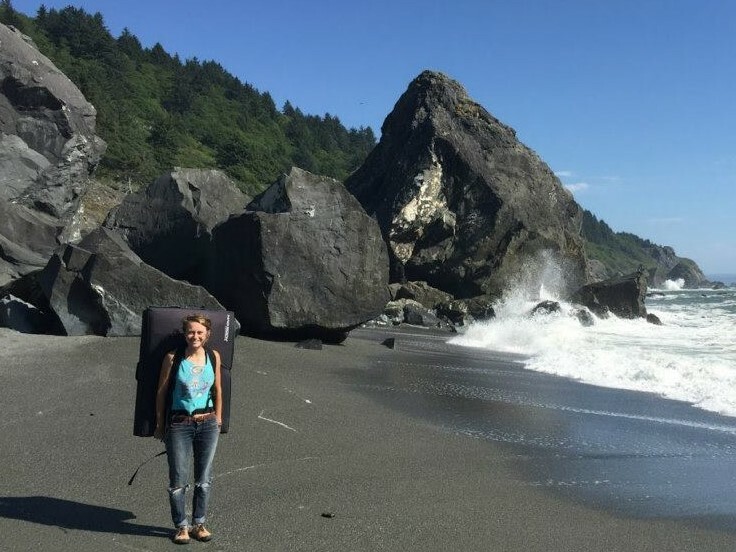 Her first AmeriCorps term was a summer spent in Northern California interning with the Student Conservation Association and Forest Service on the Klamath River. Other summers have been spent working out east in New River Gorge as a raft guide and video boater. She is beyond stoked to serve with AmeriCorps again, this time for her second year as the Water Quality Administrator for MountainTrue. If she’s not in the office, you can find her clambering up rocks big and small (or boofing off them in a boat) and asking to pet your dog as soon as she catches her breath.